Boots.com - hasta 6.8% de comisiones por traer a tus amigos o por Cashback. 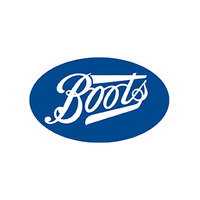 Boots.com is one of the best Health Beauty shops online. They have an incredible wide range of categories and products including: Beauty, Fragrance, Health, Electrical, Photo and Gifts. Save and earn money buying and recommending through aklamio!